A young man was severely dealt after he was apprehended for allegedly picking human faeces in Ekiti state. 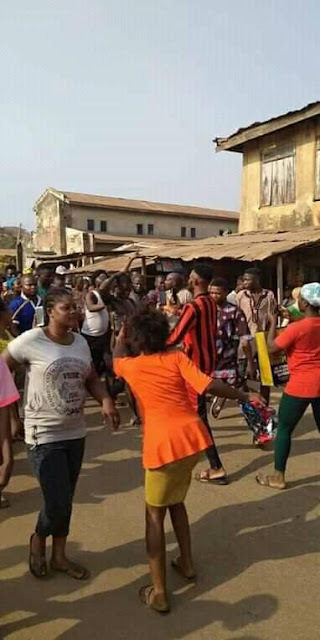 It was gathered that the accused was sighted by residents while putting the excreta into a black polythene bag earlier today at Matthew street in Ado-Ekiti area in the state. The youths quickly mobilized themselves and caught the suspect. 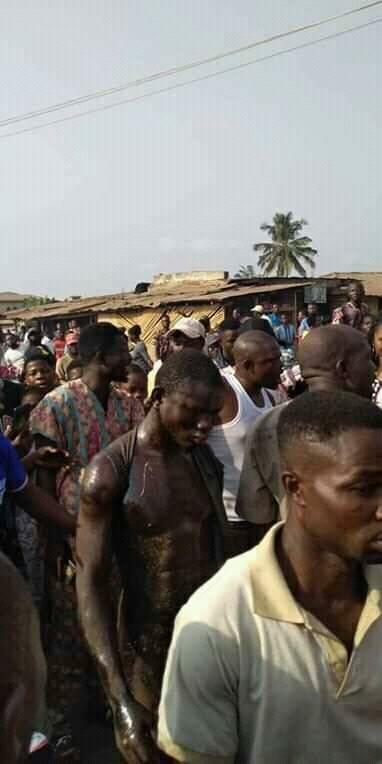 He was stripped naked, beaten and paraded in public after being alleged to be a ritualist. This is coming days after a man was caught in a refuse dump in Ado-Ekiti collecting excreta to put into in a polythene bag. 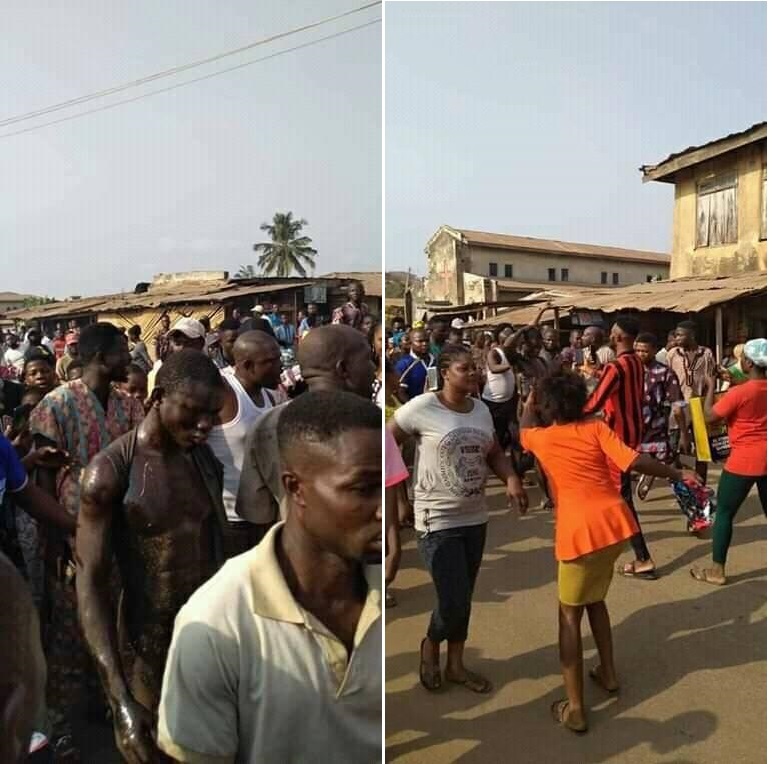 The man was nearly lynched by a mob in in Ado-Ekiti. Witnesses suspected him to be a ritualist who was collecting the excreta for money rituals. In the video shared online, he was seen surrounded by people who stripped his shirt off and questioned him about what he wanted to do with the faeces.